Have you ever wished for a vacation where time stood still and you experienced quietude and true serenity? 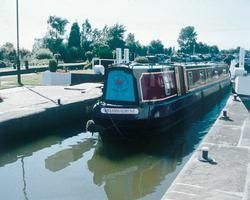 A holiday on the canal boats of Canaltime at Sawley Marina is exactly such a getaway. Just outside of Nottingham on the borders of Nottinghamshire, Leicestershire, and Derbyshire is the marina at Sawley. For timeshare resale owners and timeshare renters, this friendly spot welcomes you to your holiday on the waterways of England. Canal boat timeshare holidays are best enjoyed when you understand what to expect and how to make the most of your experience. For starters, pack light. Bring along a few warm garments and a little rain gear, but for the most part, keep your wardrobe simple and comfy. Watch your children when they are on deck; anyone under the age of sixteen is required to wear a lifejacket when outside the cabin. Most of all, try to start relaxing and winding down before you even arrive. Holidays on a narrow boat are very different from most people’s daily lives and the contrast can be startling. Unplug from technology as much as possible to maximize the low-key, slow pace experience of a Canaltime at Sawley Marina vacation. Sawley is the largest inland waterway marina in the UK. When you arrive, park your car (there’s plenty of room), and start your check in. There’s always Canaltime staff available to show you everything you need to know to be the captain of your own vacation narrow boat. Canal boats are purpose built for holidays. They come equipped with a bath and shower, flush toilets (one on four-berth boats and two on six-berth boats), furnishings, linens including towels, dinnerware, cooking utensils, and a television and DVD player. Small kitchens (your galley) have a refrigerator, a microwave, a gas stove, grill, and oven. 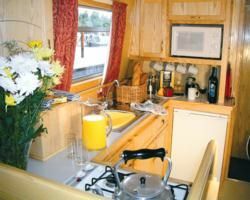 All Canaltime narrow boats have central heating and a water heater, both 12v and 240v electrical, a water holding tank, and a waste holding tank. Some vacationers choose to spend all their holiday at the marina, which means easy access to water and electrical hookups. When boat vacationers take to the canals, they must remember to spend at least five hours cruising in order to recharge the boat’s batteries. Contact Canaltime at Sawley Marina Specialist Today! Days: Friday, Saturday, Sunday, Monday, Tuesday, Wednesday, Thursday / Time: 2:00 P.M.